Nablus is a restaurant entirely inspired by old Nablus, a now-modern city that still exists on the northern West Bank of Palestine. Designed to conjure up the feeling of ancient Nablus's timeless alleyways and charming brick pathways, this beautiful restaurant's authentic dishes are entirely reminiscent of the area. 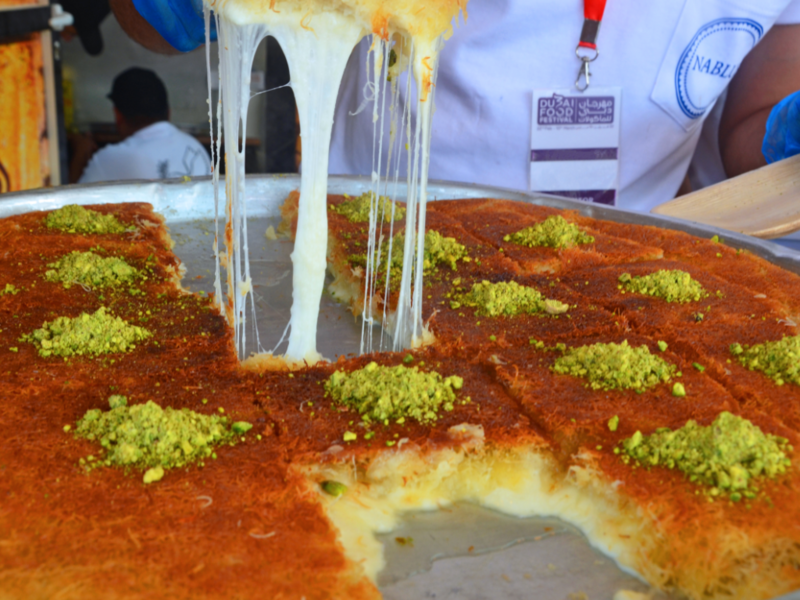 Whatever you do, don't forget to try the Nablusi kanafeh.